From August 6-14, 2016, I hosted a small craniofacial group cruise called “Fabulous Faces at Sea: The 2016 Craniofacial Cruise” aboard Norwegian Cruise Line’s newest ship Escape, on an 8-night cruise from Miami stopping at St. Maarten, St. Thomas (US Virgin Islands), Tortola (British Virgin Islands), and Nassau (Bahamas) before returning to Miami. Last summer (2015), before I moved from Calgary to Denver, I came up with an idea to host a craniofacial group on a cruise. Initially it was to be a Treacher Collins syndrome (TCS) cruise. After I first broached my idea on Facebook, a travel agent in Denver who has a granddaughter with TCS agreed to help me plan and organize my group cruise. After I moved to Denver, I met with her and we started working together on my idea. As a travel agent, she was able to find the right cruise line, ship, itinerary, dates, and pricing for our potential group. After comparing the major cruise lines, their itineraries and how they could help our group with pricing and availability of emergency medical services for our passengers, my travel agent friend and I settled on Norwegian Cruise Line, which ticked all the right boxes for us. We agreed on an early August 2016 Eastern Caribbean itinerary on Norwegian’s Escape, their new ship that was launching in the Fall of 2015. Later on, the CEO of Courageous Faces Foundation, whose board I was now on since I moved to Denver, got on board and provided invaluable advice to us on how to better organize and promote this cruise. She suggested marketing it to a wider audience (any craniofacial condition) as well as ideas for promoting it. She also advised me to provide workshops and other activities aboard ship and ashore specifically for our group, to make this not only a fellowship cruise, but also an educational opportunity. The cruise now became “Fabulous Faces at Sea: The 2016 Craniofacial Cruise”. We remarketed it using the suggestions from my Courageous Faces Foundation board CEO. I also left open the possibility to repeat the Fabulous Faces at Sea Craniofacial Cruises as an ongoing tradition either annually or biannually in the future, and we discussed aiming future FFAS Cruises towards adults with craniofacial conditions, since families are already well served by the Children’s Craniofacial Association (CCA) annual family retreats I have attended regularly for a long time. This year’s group was a small, intimate group, with me, the travel agent and her granddaughter with TCS and her family and extended family, as this was my first time hosting it (so it was our trial run). Spring and summer 2016 came fast, as our bookings were finalized and paid for, and we arranged flights to Fort Lauderdale and a hotel to stay there the night before the cruise. A pleasant surprise came to me a week before the cruise—my mom got the opportunity to join our group for the cruise, and she was booked in a room next to mine and she was booked to fly right down from Fort Wayne, IN (where she lives) to meet up with the rest of us. On August 5 we all traveled to Fort Lauderdale to stay at our pre-cruise hotel, and my mother met up with us there after she flew down from Indiana. We all got to know each other, and Mom got to meet our group and know them including the darling little girl with TCS. On August 6 we embarked on Norwegian’s Escape out of Miami. Our group had dinner together in one of the main dining rooms that evening to kick off the cruise. Over the course of the cruise, we ate several more meals together as a group. The rest of the time, Mom and I shared meals together as mother and son, and relaxed together on the sun deck at the stern or in the atrium with piano music. On August 7, the first full day at sea, I hosted our group for a seminar in one of the shipboard meeting rooms. In this Q&A session, my mother and I both fielded questions from the rest of the group. 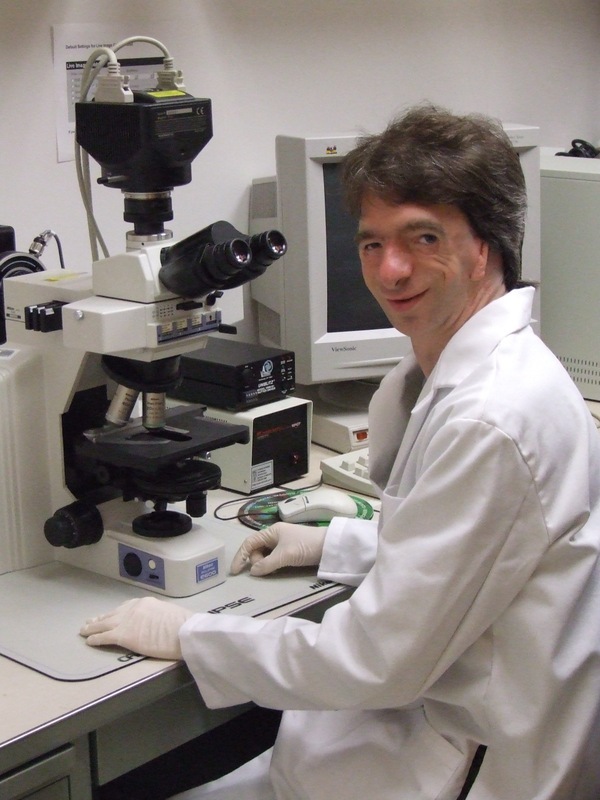 I was able to share many of my own life experiences as a person with Treacher Collins syndrome, what I have done with my life (my career as a research doctor in craniofacial biology), and what I enjoy doing (they were particularly interested in my talents in piano, violin, and art). My mother talked about her experiences parenting me and 11 other children all with special needs. By sharing our experiences, I was able to encourage the others with my story and Mom encouraged them in regards to raising children with special needs. On August 10, our whole group did a planned group-specific shore excursion on the island of St. Thomas (US Virgin Islands), visiting the Coral World sea park and adjacent Coki Beach, just to be together in fun and fellowship. On the final day at sea (August 12), our group had a private ice cream social in the ship’s board room, where we enjoyed fellowship over ice cream provided by the ship. During the course of the cruise, when I was not hosting events, I had plenty of time to meet many other people on the ship. I was an ambassador of sorts, as people got to know and love me when I shared my life story with them in the course of conversations with them. Meeting other passengers during the cruise provided me with an opportunity, as an ambassador, to raise awareness of craniofacial anomalies. We disembarked in Miami on August 14, having had a wonderful time of fellowship and sharing with my group and being an ambassador to the other passengers aboard ship for the cause of craniofacial awareness. At the same time, the cruise was an opportunity for me to bond even more strongly with my dear mother; we grew closer as mother and son over the week as we relaxed together and ate together. To cap it off, I took my mother for a mother-son date at a French restaurant on the ship for a special meal together. I consider this first cruise to have been a successful trial run for what I hope to be a continuing tradition of Fabulous Faces at Sea Craniofacial Cruises in future years. As I mentioned before, I want to target it generally more towards adults with craniofacial conditions like myself as our own way of gathering for fellowship and education. Families are already well served by the aforementioned CCA family retreats, but are still always welcome to join me on future FFAS Cruises. Future FFAS Cruises will provide more opportunities for craniofacial fellowship and education, as we improve our marketing and design for them. I would encourage more of us in the craniofacial community, not just affected people and families, but also medical and research professionals to join us on future cruise adventures (perhaps medical and research professionals in our field could share their perspectives to our group in workshops and other activities on our future cruises).